KjelLAB Analyzer is an automatic device integrating distillation and titration functions which is designed based on classic Kjeldahl nitrogen determination method. 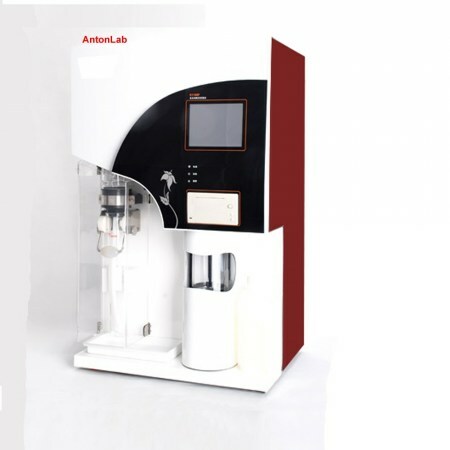 It’s equipped with the latest core control system, powerful automation and high-quality components, and can easily achieve automatic waste discharge and cleaning of digestion tubes and titration cups, control steam supply and real-time detection of condensation temperature. High-accuracy charging pump and titration system ensure test results with high accuracy, and multiple fluid level detection achieves smooth test process. Automatic waste discharge and cleaning ensure operator safety and save working time. USB or RS-485 interface is optional for PC connection. Built-in printer may achieve printing test report at soon. Automatic completion of distillation, titration, calculation, printing, waste discharge and multiple protections, i.e.failure self-detection, hints of condensed water shortage, displacement of safety door and digestion tube and so on. Digester model GD-20N/GD-20NP with φ42 digestion tube.